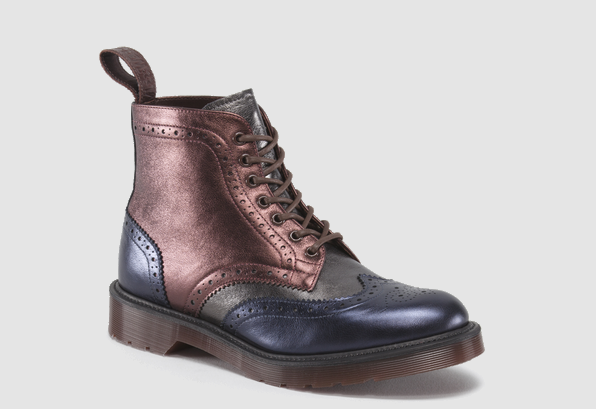 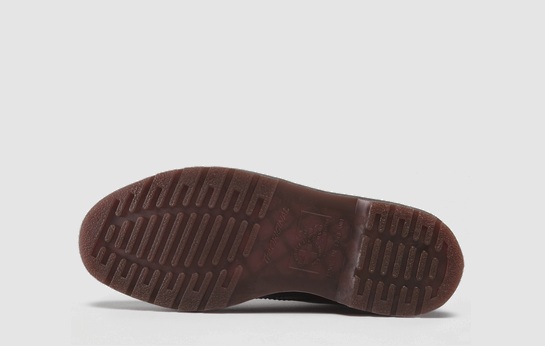 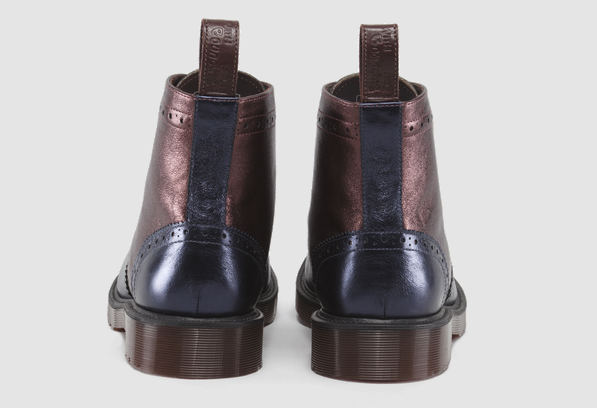 Add a bit of the British sartorial aesthetic to your classic Doc Marten stompers! 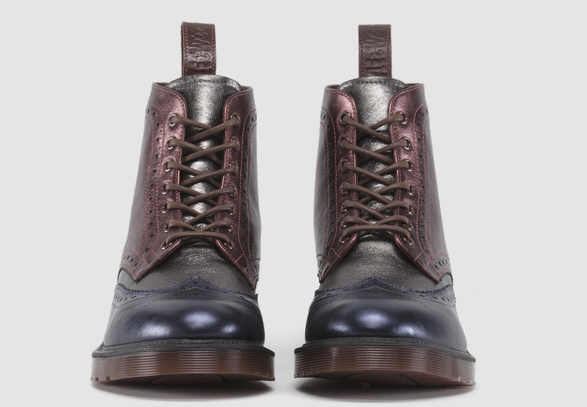 Dr. Martens continues on with their iconic boot with the Anthony boot from their Made In England Collection. 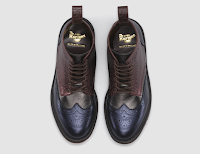 The navy, pewter and cherry red Anilmorbido leather upper has brogue stitching with a leather welted air cushioned sole. The metallic finish is a nice touch to dress up with plaid suitings or dress down with indigo denims. 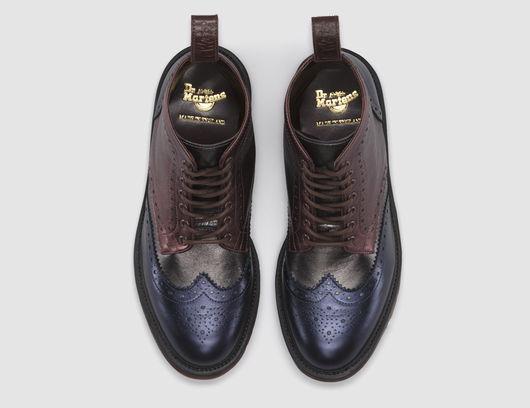 Available now at Dr.Martens.com.